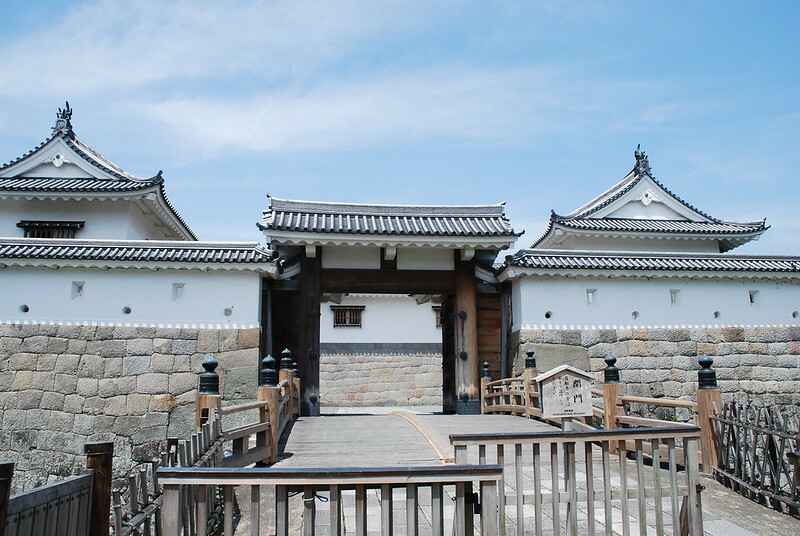 The Higashi Gomon was an important gateway located on the eastern side of the Ninomaru (the secondary enclosure) of Sumpu Castle. 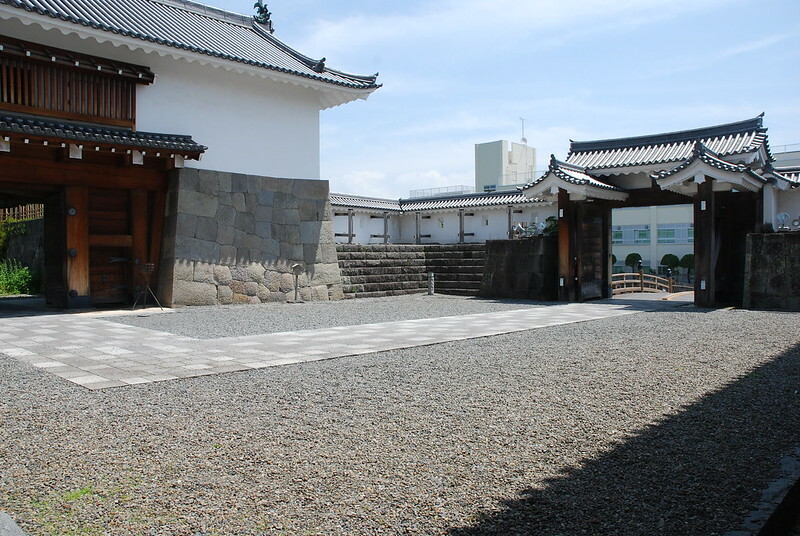 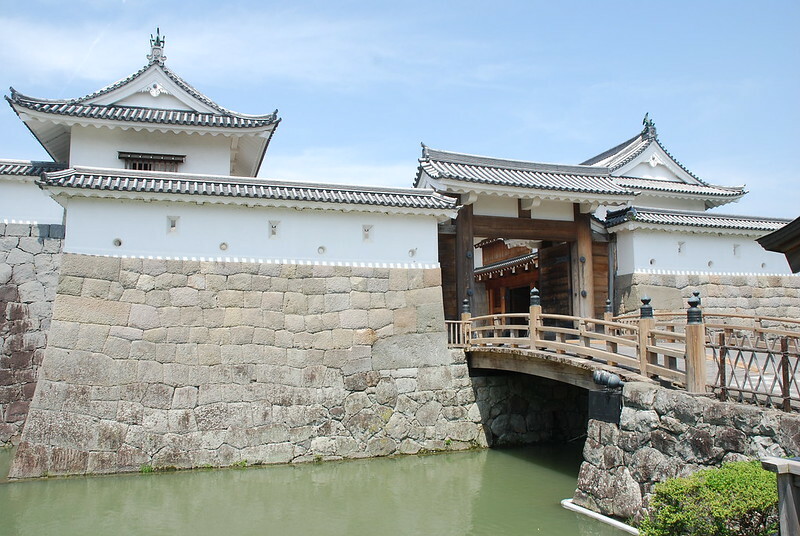 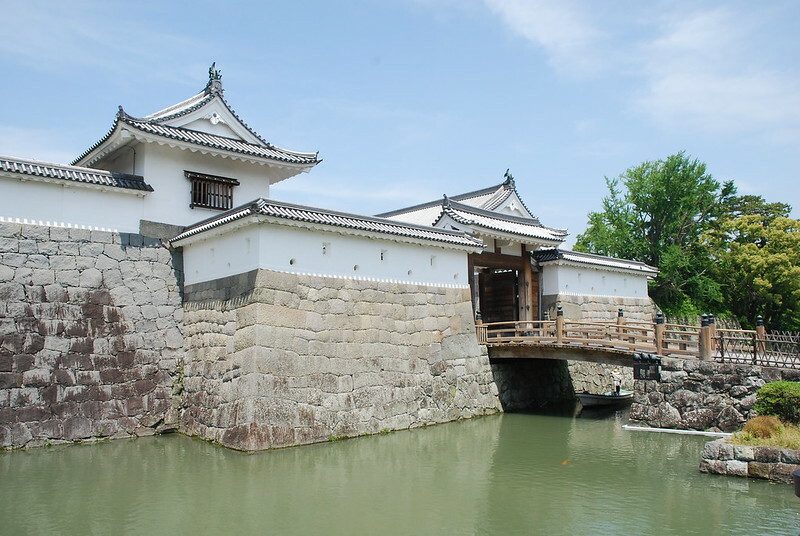 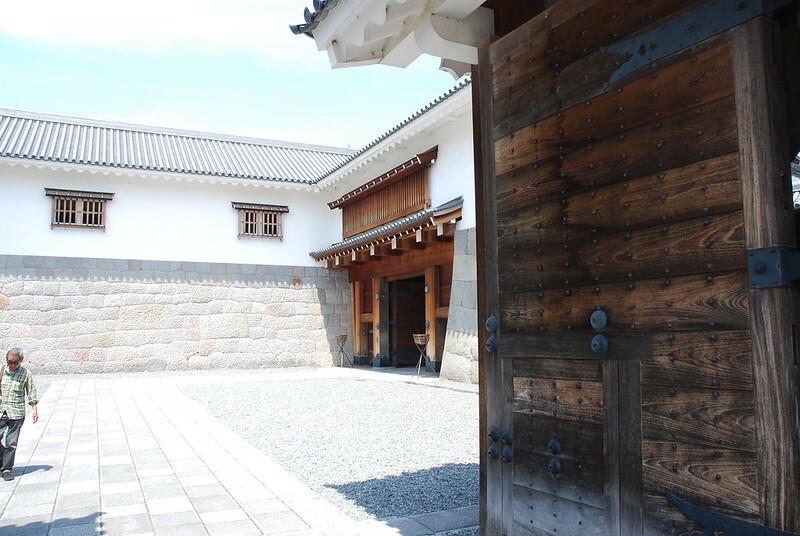 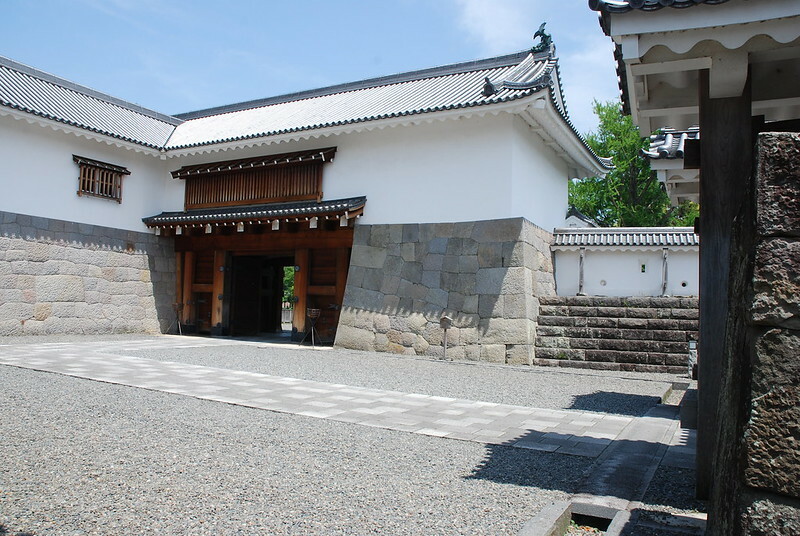 This square-shaped gate is composed of the Higashi Gomon Bridge, the Korai Gate, the Yagura Gate, all of which cross the Ninomarubori (the center moat) and the South and West Tamon Yagura (turrets). 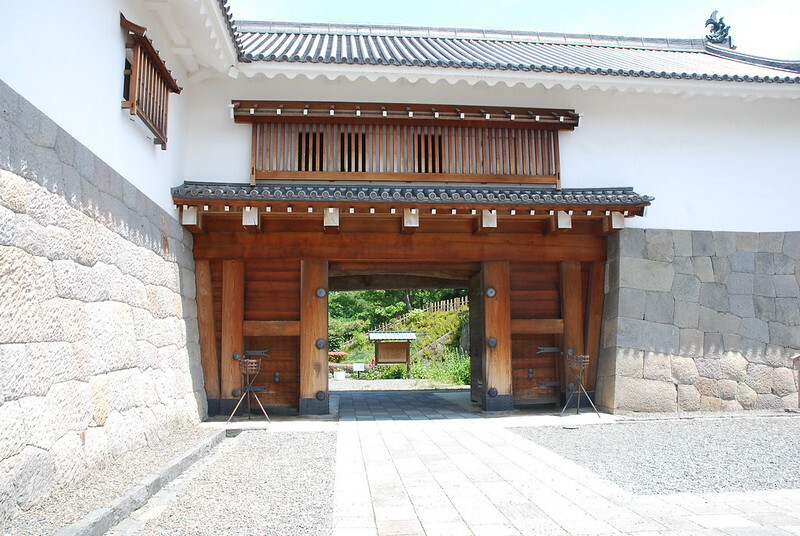 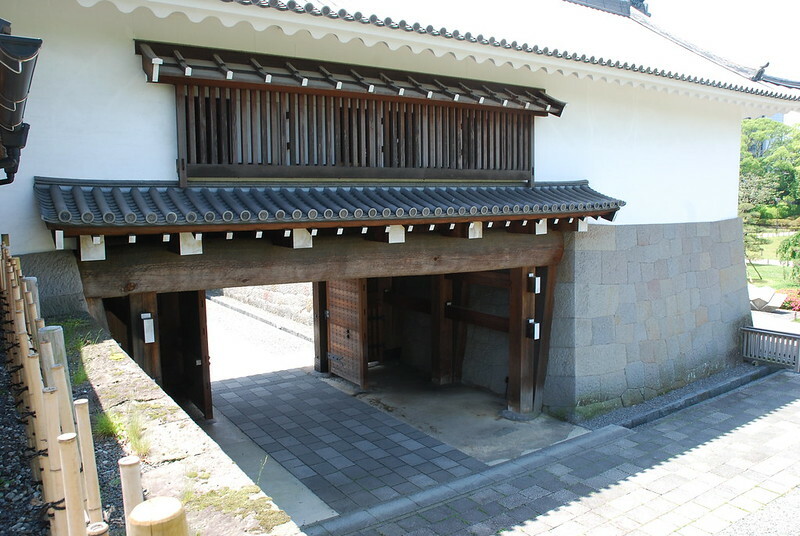 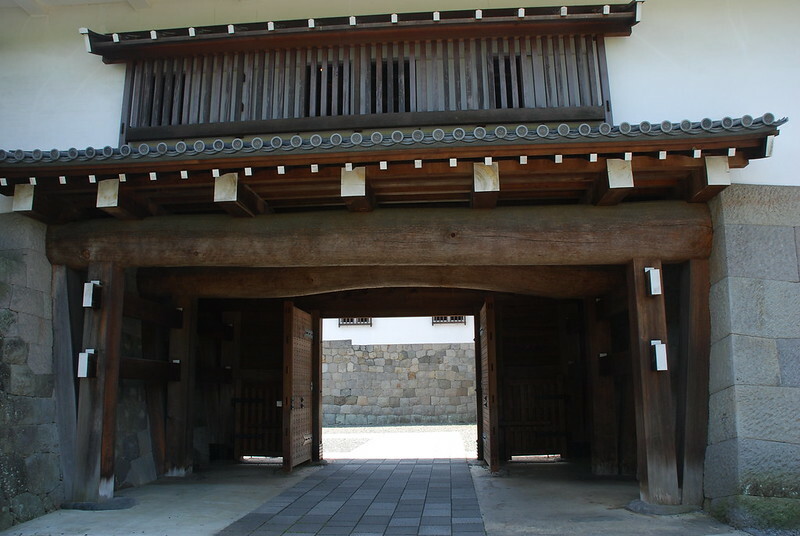 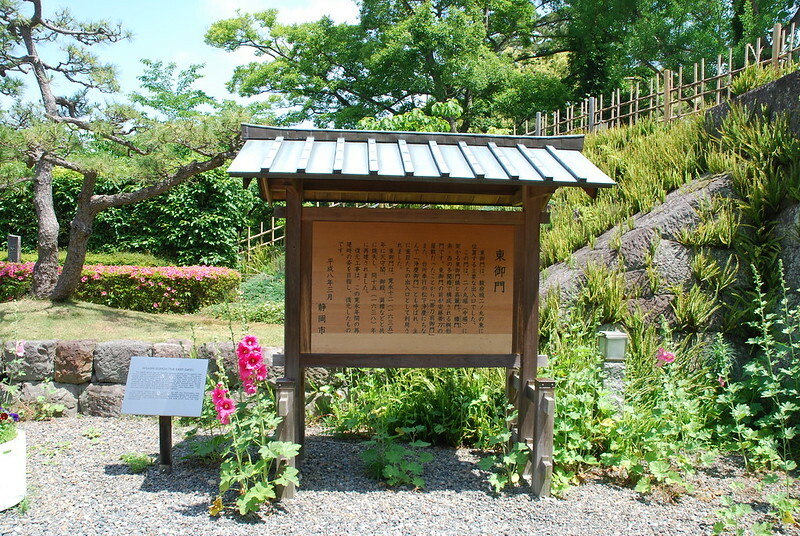 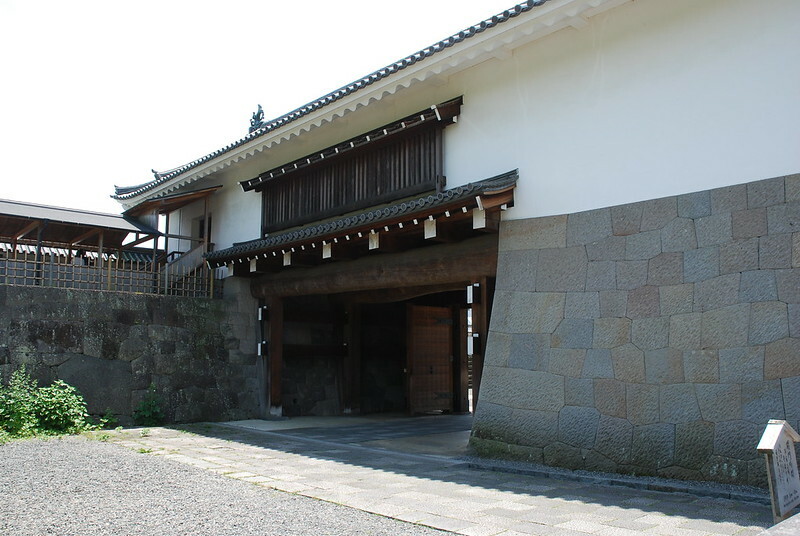 The gate was also called the "Tatewaki Mae Gomon" (the front gate of Tatewaki) after Tatewaki Ando, whose residence was located in front of the gate. 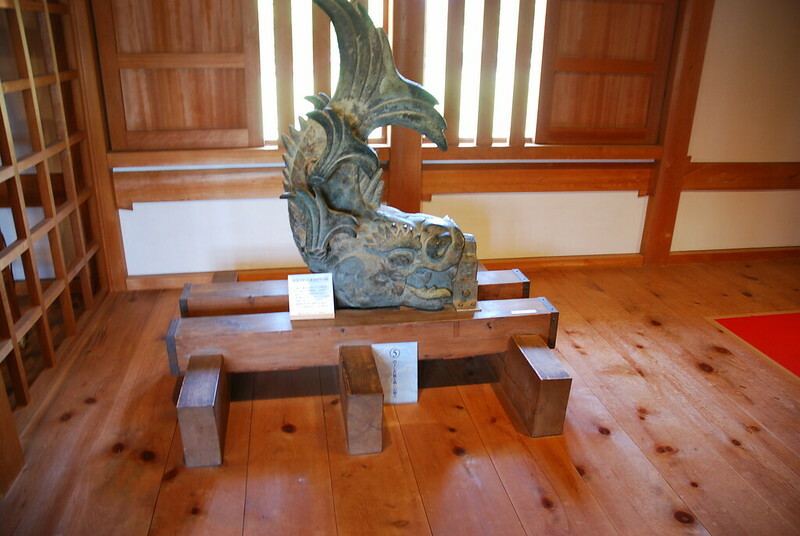 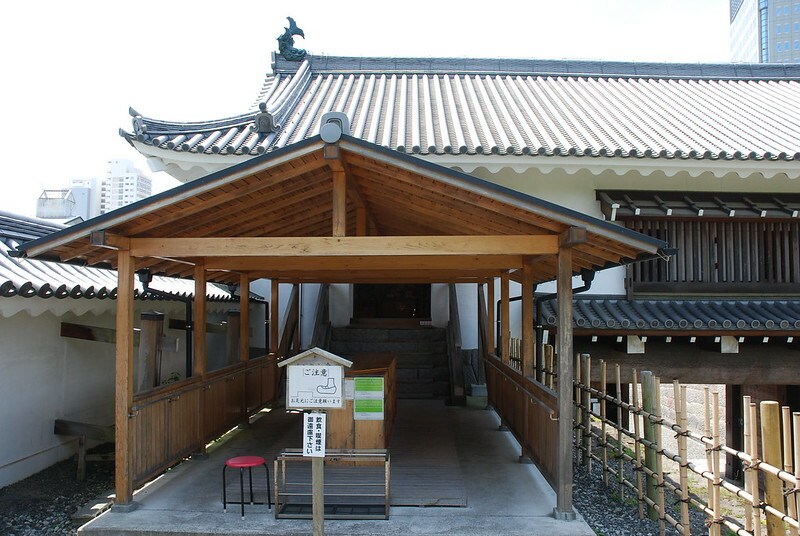 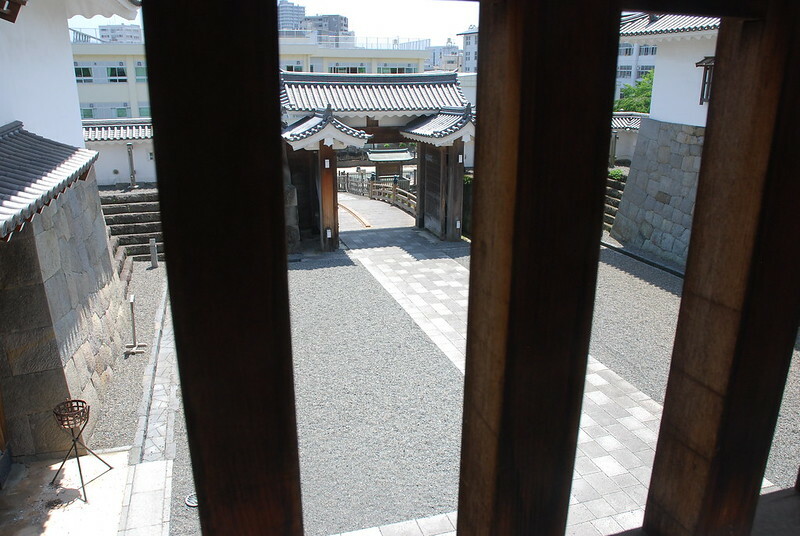 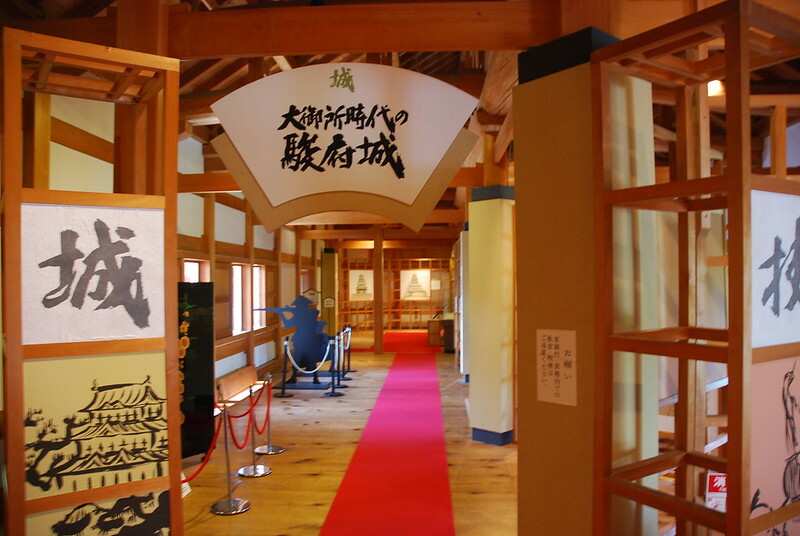 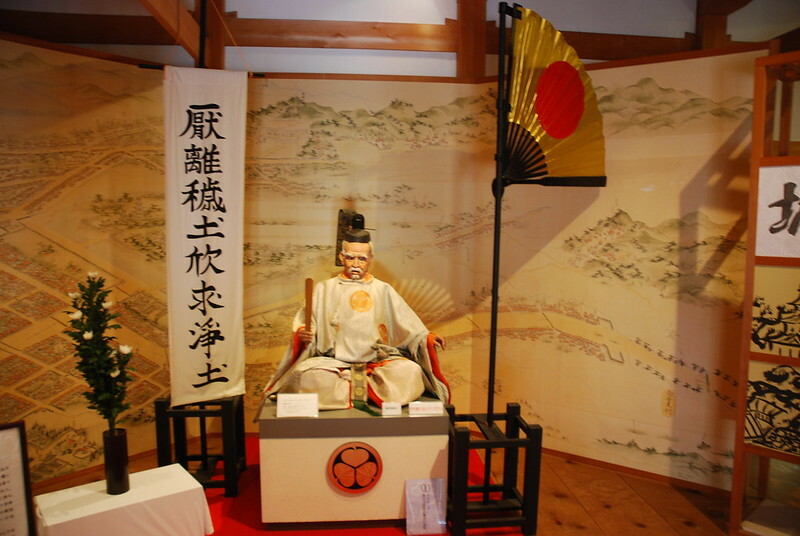 It had yet another name, "Jokei Gomon" (Jokei's Gate), after a kitchen commissioner, Jokei Matsushita. 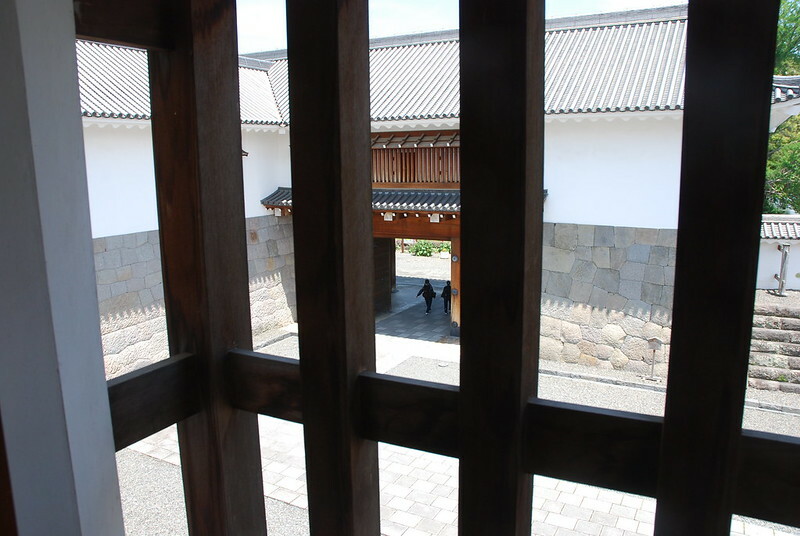 The gate was mainly used as a gateway for chief retainers. 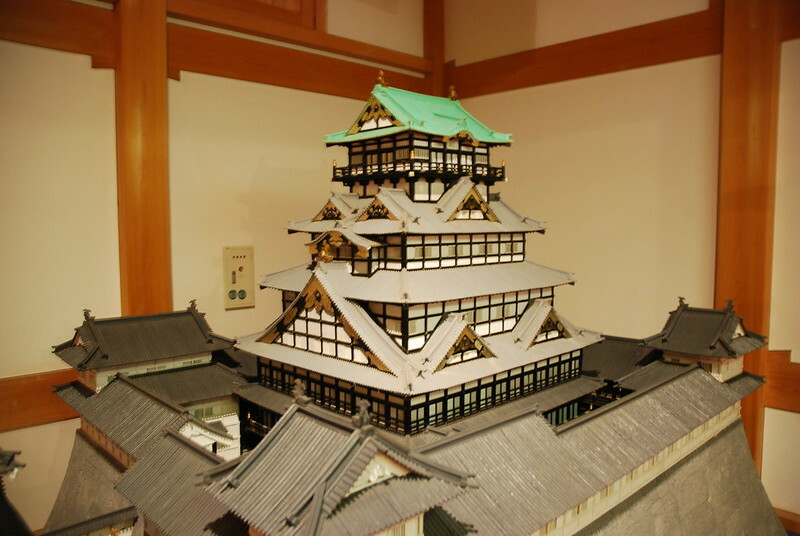 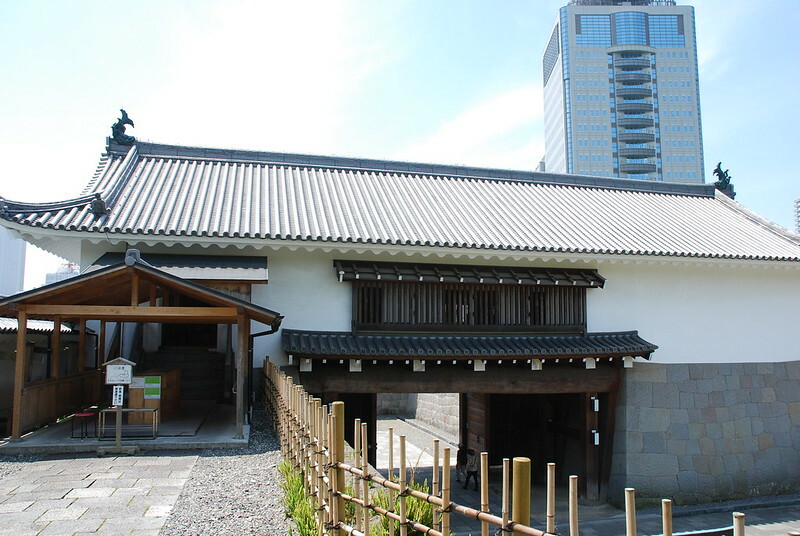 The Higashi Gomon was burnt down along with the Tenshukaku (the donjon), the Goten (the lord's quarters), the Tatsumi Yagura (the southeast tower), and other buildings in 1635 and was reconstructed in 1638. 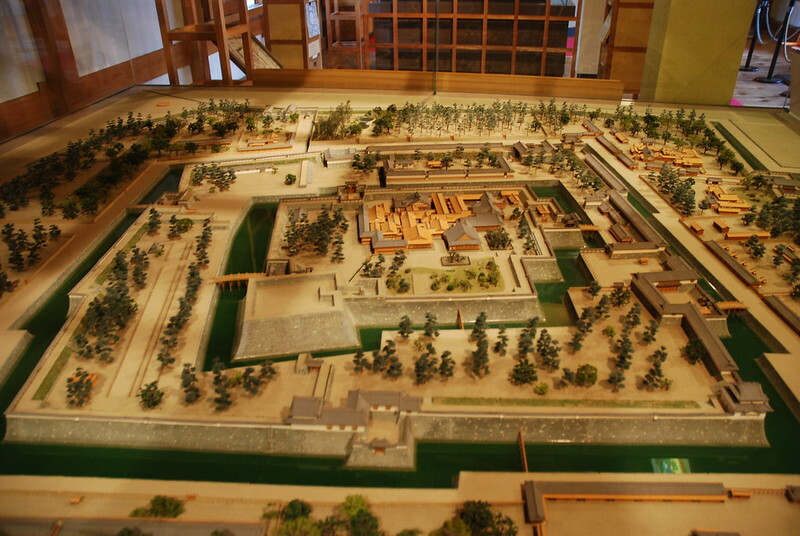 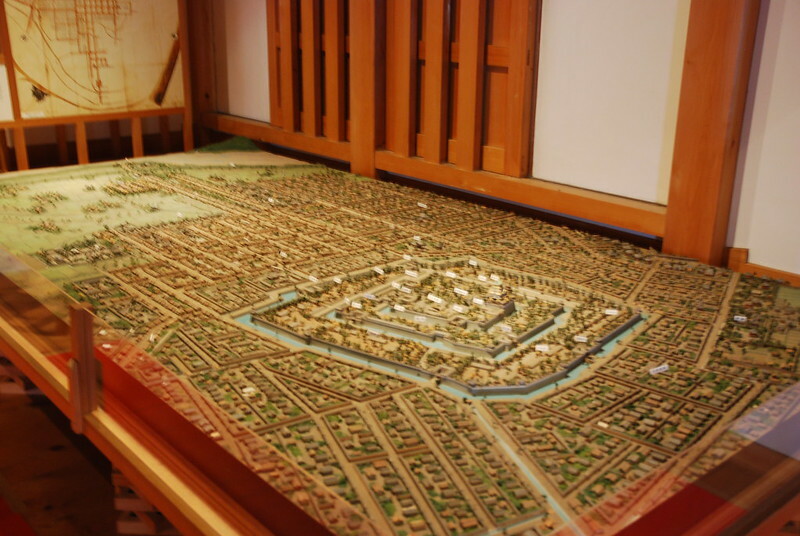 The present reconstruction was carried out following the blue prints from the 1638 reconstruction.